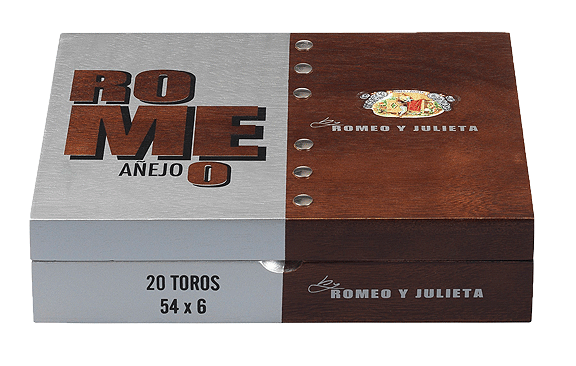 Romeo Anejo by Romeo Y Julieta | Chicago's Pipe, Cigar & Tobacco Store | Iwan Ries & Co.
For nearly 140 years, Romeo y Julieta been driven by a passion for crafting the finest handmade cigars. As time passed, that love has only grown. Created from that timeless legacy, the ROMEO Añejo is the perfect addition to an epic love story. The manufacturer (Altadis USA) of this cigar prohibits on line sales for this product. Please call (800) 621-1457 or stop by our Historic Chicago Location.